NoViolet Bulawayo will speak on “The Immigrant Experience in America” at the 2019 Betty Jean Craige Lecture. Bulawayo grew up in Zimbabwe. She earned her MFA from Cornell University, where she was a recipient of the Truman Capote Fellowship, and has also held fellowships at Princeton, Harvard, and Stanford, where she now teaches fiction. 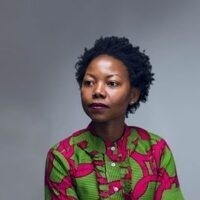 Bulawayo’s debut novel, We Need New Names, was shortlisted for the Man Booker Prize and The Guardian’s First Book Award, was named a New York Times Notable Book, and won the PEN/Hemingway Prize, the Hurston/Wright Legacy Award, and many other honors. Bulawayo’s short story “Hitting Budapest,” which became the first chapter of We Need New Names, won the 2011 Caine Prize for African Writing, sometimes called the African Booker. Bulawayo’s talk is the department of comparative literature’s annual Betty Jean Craige Lecture. Betty Jean Craige is University Professor Emerita of Comparative Literature and a former director of the Willson Center. The event is presented in partnership with the department of comparative literature, the African Studies Institute, the Institute for African American Studies, and the Institute for Women’s Studies. The Global Georgia Initiative presents global problems in local context by addressing pressing contemporary questions, including the economy, society, and the environment, with a focus on how the arts and humanities can intervene. Global Georgia combines the best in contemporary thinking and practice in the arts and humanities with related advances in the sciences and other areas. The series is made possible by the support of private individuals and the Willson Center Board of Friends.